Description: Hotel is located just outside of the Ichan Qala, hotel provides comfortable accommodation in a western style. 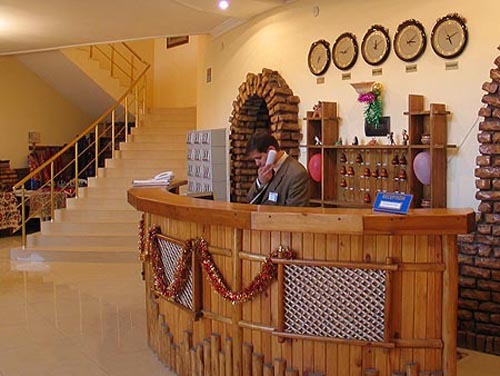 It consists of two buildings one built in 2004 and other in 2007, which offer additional 16 double, with shower and bath, and 16 single, with just shower, rooms are all equipmed with AC, Satellite TV, direct dial phone. 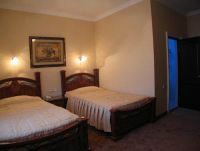 The hotel also features a conference hall which can aсcommodate 40 people.